Tennessee’ Tessa Grubbs averaged 7.33 points and 7.33 kills per set. In Sunday’s win at Mississippi State, she recorded 22 kills and a .571 hitting percentage. Kentucky’s Gabby Curry averaged 7.00 digs per set with just one reception error in 30 attempts as UK improved to 14-0 in conference play. 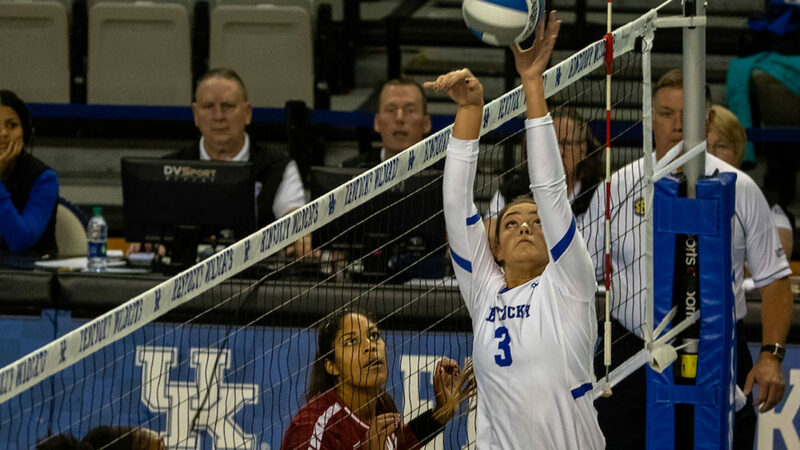 Kentucky’s Madison Lilley averaged 13.17 assists per set and helped lead the Wildcats to a .335 hitting percentage on the weekend. She posted her eighth double-double of the season with 45 assists and 11 digs in the win over Alabama. Missouri’s Andrea Fuentes averaged 11.71 assists per set in a 2-0 week for the Tigers. She opened the week with 43 assists at Auburn, followed by 39 assists vs. Georgia. RS freshman S Andrea Fuentes is your Week 12 SEC Freshman of the Week!